Fashioning evocative luxurious living spaces that reveal the lives lived within is the endeavour of Indie Style Interiors. 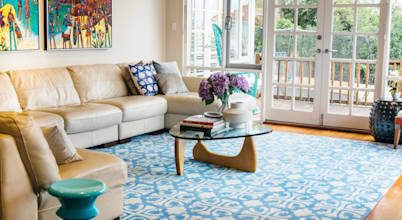 Part scientist, part magician – Creative Director, Wendy Martin is Perth, Western Australia’s interior styling virtuoso and custom rug design afficionada. ​Who knew you could wash these in your washing machine?